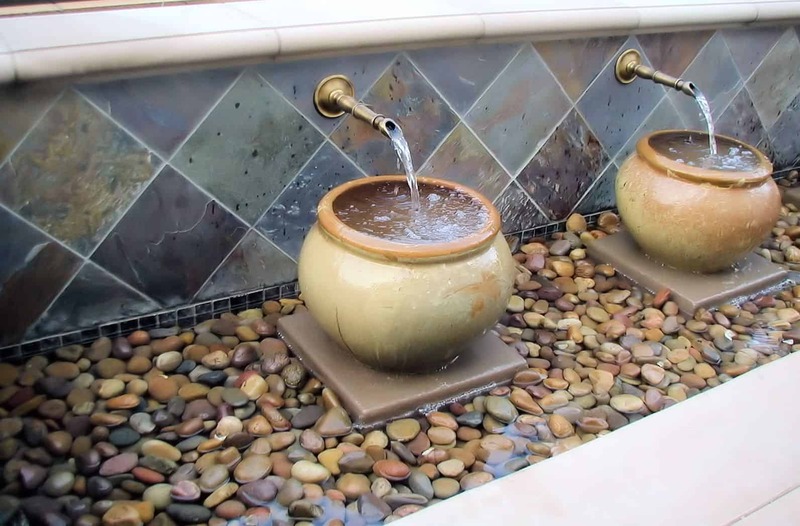 Imagine walking out your back yard on a warm summers evening to the soothing, tranquil sound of water gently flowing into 3 large pots, the water gently bubbling over and softly landing on the pebbles below. The homeowner wanted a place to retreat to – poolside water features that would invoke serenity, yet be safe for small pets and children to venture over and have a look. The water feature pictured here is adjacent to a pool and spa. It features a wall of Cantera Stone, supporting three of our Florentine Spouts pouring gently into three Asian pots, resting on a bed of Mexican Beach Pebbles. 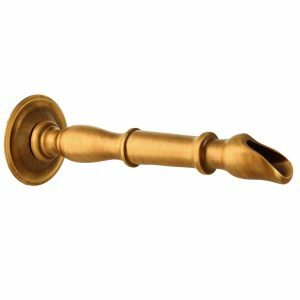 We are showing a closer view of only two of the three spouts to provide greater detail.